Good morning, all! Joining us in the Ruins today is a man who really needs no introduction . . . but I will do my best to provide one anyway. 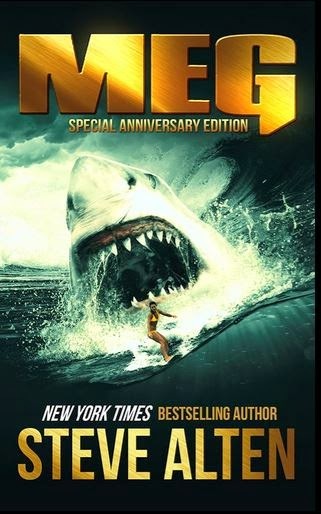 Steve Alten first hit the shelves almost 20 years ago with MEG, the first book of what would go onto be his bestselling Megalodon series, and he's never looked back. His latest, Vostok, continues the theme of that series (and, indeed, is a crossover tale), but gets a little darker and deeper into the shadows of government conspiracy. Q: Thanks for taking the time to stop by today, Steve. For those who have yet to fall prey to MEG or dive into The Loch, please tell us a little about yourself and what we can expect. High-octane adventure, woven with fact that makes you wonder what is real and what is fiction. Q: The journey from 'aspiring' to 'accomplished' can be a long one, even in the era of small presses and digital publishing, but yours is almost storybook – I mean, you sold your car to pay for editing fees, then you lost your job, only to land a deal with Bantam Doubleday four days later. Looking back, how crazy was that whole experience? It’s still a rollercoaster ride -- and I hate rollercoasters. 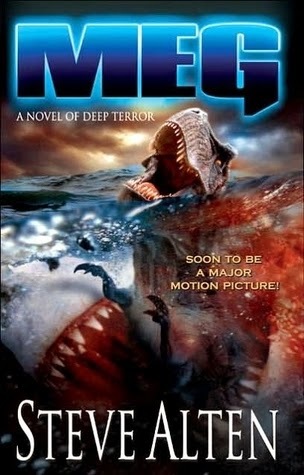 The second part of that 2-book deal was abruptly cancelled, then the first MEG movie deal went sour after the president of Hollywood Pics was fired. Then we got a deal with New Line Cinema – only to have the rights reverted when management just didn't support what every dept. wanted. Ups and downs, but hopefully another big rise soon. Q: Your latest release, Vostok, connects two of your bigger storylines, serving as a sequel to The Loch and prequel to the 5th MEG novel, Nightstalkers. Was it always your intention to tie things together, or was there something else that drove the idea of a crossover? The ideas came to me while I was writing the first draft. Here were two lead characters with so much in common, but polar opposite approaches. Jonas Taylor (MEG) aids Zachary Wallace (The LOCH), then the story continues in MEG: NIGHTSTALKERS. 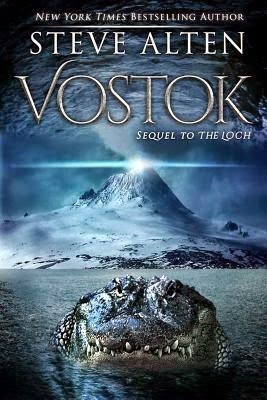 Q: Vostok, of course, deals with prehistoric monsters, but what really caught my eye is the fact that you've also incorporated a UFO conspiracy angle this time around. How did that aspect come into the story? Q: You’re known for being open and accessible to your readers, even going so far as to use them as characters in your work. In terms of reader reactions, what is the strangest or most surprising reaction to your work that you've encountered to -date? Back in 1998, after MEG debuted, I received a hate-filled letter from a guy who seemed to have some writing ability, even though he was spewing venom. I replied that he seemed like a jealous, frustrated author, but I’d rather he verbally attack me than beat his wife. I also said that it’s too bad you’re so angry because I could use a good editor on The TRENCH. He responded with apologies – turns out he was a jealous writer, but said he’d love to edit. So I hired him and he did an outstanding job. His name appears in the acknowledgments. Q: Wow, that's some twist! To turn from pen to page for a moment, is there a particular author who has influenced or inspired your writing? Somebody who either made you want to write in the first place, or who just refreshes your literary batteries? I have favorite authors who have inspired me with their words and story-telling abilities. Ian Fleming, Bram Stoker, Kurt Vonnegut, Thomas Harris, Michael Crichton, Peter Benchley, Anne Rice… to name a few. Q: Although you’re not marketed as a YA author, and your books have a broad audience appeal, you’ve made some significant connections with high school students across the US. How did you come to get involved with Adopt an Author, and what as the experience been like? 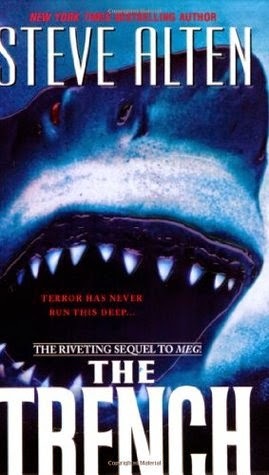 Q: You’ve written multiple screenplays, so clearly you have a feel for the medium, and the books have already been optioned, but assuming you had total creative control over the production, who would you cast as the leading roles for the combined worlds of Meg and The Loch on the big screen? Q: Fair enough! Coinciding with the release of Vostok, you’re also releasing a revised 20th anniversary edition of Meg, which incorporates the Origins story. Had you always wanted to go back and revisit your debut so extensively, and do the edits have any impact on the rest of the series? Q: Before we let you go, what can we look forward to from you next, beyond the 5th Meg book? Is there another crossover story to be told, or perhaps something completely different on the horizon? A few exciting projects in the works. Plus new character contests for readers who want their names immortalized in print. Go to www.SteveAlten.com and sign-up for my free monthly newsletter to learn about these things first. Awesome. Thanks again for joining us, Steve! great interview, guys. Love the setting of the book and the story sounds uber exciting! We have antartica, one of the least explored areas of the world. We have Mesozoic life forms, which are fascinating. Then we have marine biologists in a submersible. Of course the scifi biology freak in me wants to read this book. I read Loch a few years back by Steve and liked it a lot. I have been wanting to check out more of his work since, and this seems like the PERFECT book for me.